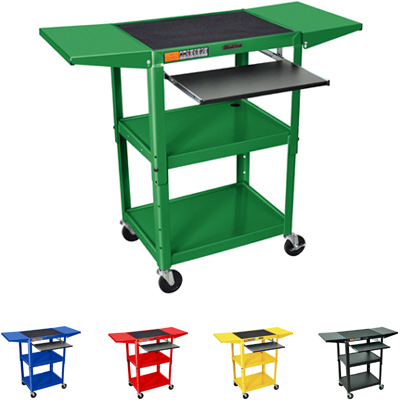 Luxor AVJ42KBDL is adjustable height cart with keyboard shelf with 2 drop leaf shelves. Keyboard Tray Measures: 18-3/4" x 11-3/4". 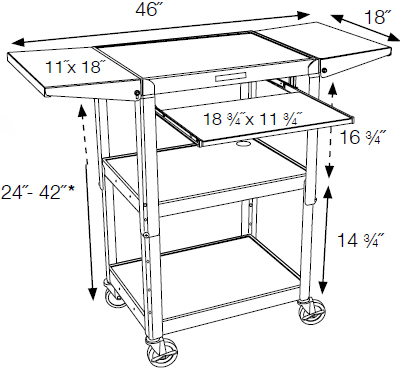 The drop leaf shelves measure 11"W x 18"D. Optional Big wheel models available. Optional cabinet models.